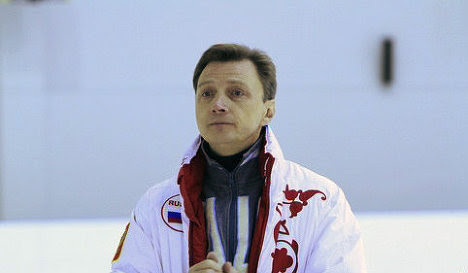 An Olympic Champion and the coach of Olympic Champions Oleg Vasiliev just after the Russian Nationals gave a comment about the situation in women’s figure skating in Russia. I think that his point of view is reasonable and totally worth discussion. Evgenia Medvedeva is a real leader of this season. Last season we had a different leader, and the year before the other. In the women’s figure skating we have clear leaders but unfortunately “disposable”. In the meaning that the girls skate for a year and then “the nature comes”: the girls are changing in all the ways and for a while they fly out of the cage of leaders. This happened to Lipnitskaya. From the physiology point of view everything is clear but from a human point of view, I wish we have been supportive not only to those girls who show results before they have grown up but also to those who are trying to come back. For example, Lipnitskaya today returns and it’s hard for her and good that Urmanov found for her. Together they do well, he will help her to get back into the lead, and it’s very difficult. It’s easy to go away but it is very difficult to come back. Not only “super skating” as Zhenya Medvedeva has now attracts the viewers but the permanence too. Actually, it’s difficult for me not to agree with Oleg Vasiliev. Let’s just see the results of Russian National Championship. The results speaks for themselves. An Olympic Champion Adelina Sotnikova, an Olympic Champion in the team, European Champion Julia Lipnitskaya, reigning World Champion, European Champion and the winner of Grand-prix Final Elizaveta Tuktamysheva are only 6th, 7th and 8th at their National Championship!! They even didn’t make into the team. Yes, they haven’t been perfect and didn’t skate to their full potential at this event. But still it’s almost impossible for them to compete equally (in terms of technique) with pre-puberty girls who have an advantage of their weight and body that allows them to do all those 3-3 combination and also be so consistent. Don’t get me wrong. I’ve nothing against Evgenia Medvedeva. She’s a wonderful girl and a full packaged skater. I like to watch her performances and she’s a favorite to win the European and World Championships. But deep down I also have a feeling that all of this is not for long. Next year, or maybe the year after she will grow up and lose her consistency and some combinations. And we will have another bright and promising young star. Probably it will be Polina Tsurskaya or Anastasia Gubanova. The videos, results and some interviews from the Russian Nationals you can see here: ladies short and free program. If they would end anonymous judging, fans could make fun of judges who score so ridiculously! It might help. Maybe the solution would be to change the way PCS are judged, because now they simply track the TS. Medvedeva is a phenom technically, and for her age she is very polished, but I think she is being a bit overscored. According to the rules PCS shouldn’t be judged in correlation with the tech) But in reality they do( I also don’t understand this: why judges give for example all 9, or all 8 when it’s not everytime correctly. For example the skater has great great skating skills but there is almost no choreo in is program, so why not to put 9 for ss and 5 for choreo?